Father, Mother, Fritz, Ernst, and little Francis invite you to visit their home. You may have seen this family at your local movie theater in 1960. 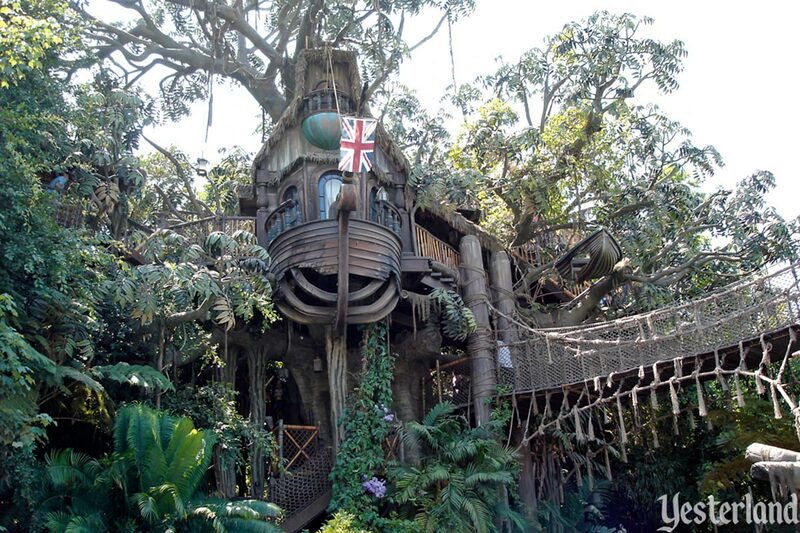 You probably thought their treehouse was on a far-off-tropical island. But it’s actually right here in Yesterland. After their shipwreck, the family managed to save furniture, supplies, and ship parts. So the Treehouse is an intriguing combination of European goods and primitive jungle products. If you need to present an attraction ticket at Yesterland, it’s usually for a ride or a sit-down show. But, in this case, it’s for a walk-through. 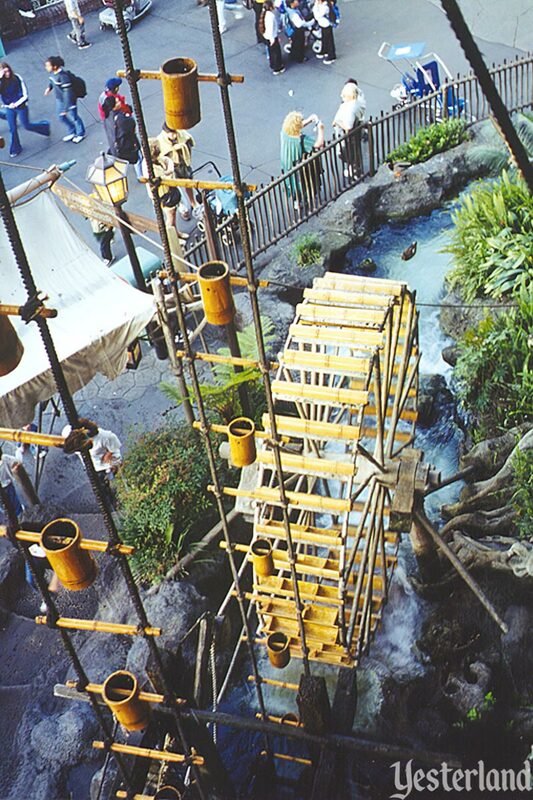 There’s another example of this not far away; it’s the Sleeping Beauty Walk-Through. 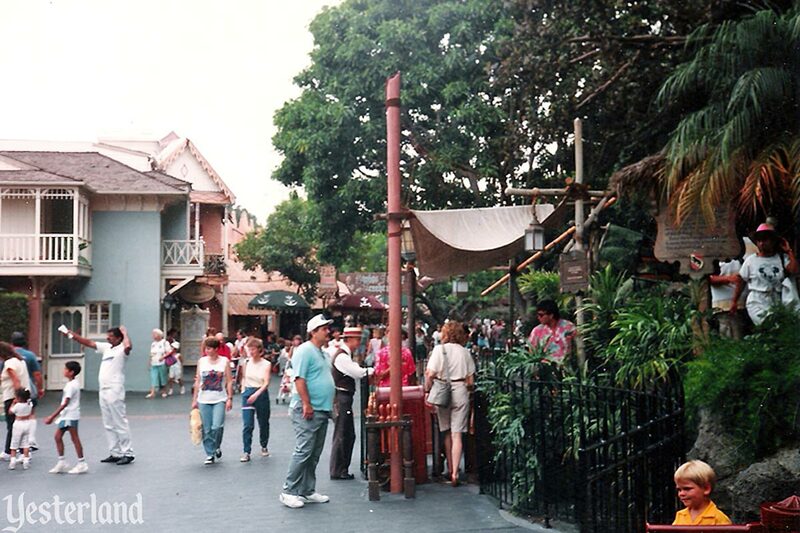 This is Adventureland, so get ready to climb to adventure. As treehouses go, this one is a palace. This Treehouse has a clever and functional plumbing system. A water wheel drives a continuous supply of scoops, lifting 200 gallons of water per hour high into the tree. The water dumps into a system of bamboo gutters that use gravity to provide clean, running water to every room. Take a look into the rooms of the shipwrecked family. Pick your favorite—the one where you could imagine yourself living. No matter which room you pick, you get elegant furnishings salvaged from the ship, along with some terrific views. Count the steps. There are 68 going up, but 69 coming down. This isn’t just an attraction; it’s an exercise apparatus too. 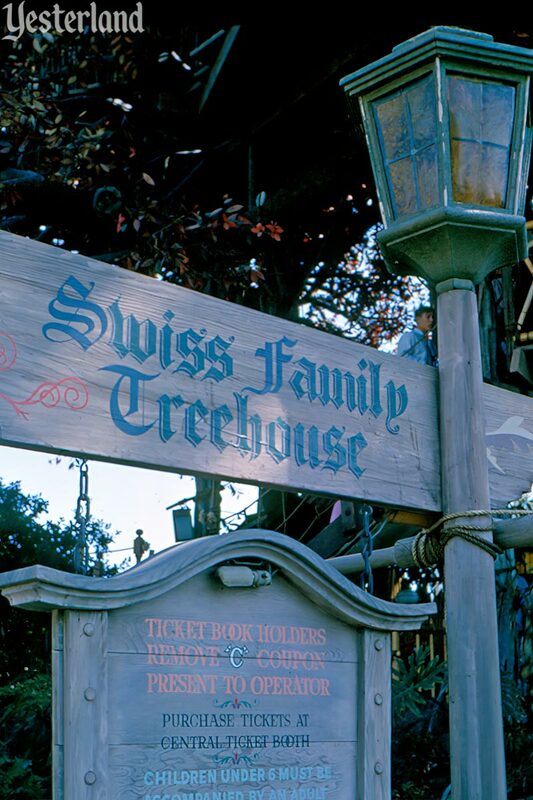 The Swiss Family Treehouse opened in Disneyland in November 1962, almost two years after the December 1960 release of Walt Disney’s hit adventure movie, Swiss Family Robinson, which was based on the 1812 novel of the same name by Johann David Wyss. All little kids—and a lot of big kids too—want a tree house of their own, but not everyone can have one, especially one that’s seventy feet tall. There was, however, one who could. In fact, if he wanted to, he could build the biggest treehouse in the history of the world. And that’s exactly what Walt did. Apparently there hadn’t been a lot of tree climbers at WED, since most of the designers thought the treehouse would be a waste of time and money. No one would climb all the way to the top, they moaned, only to have to negotiate their way back down. 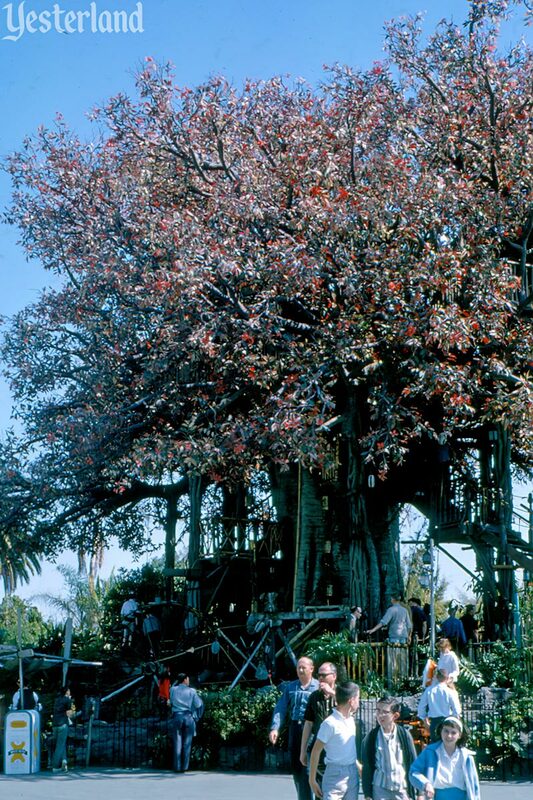 But, as usual Walt was right, and after the opening of the Treehouse, the adult climbers outnumbered the kids three to one. Yes indeed, everybody wants a treehouse. Although the walkthrough required a “C” ticket when it opened in 1962, it was demoted to a “B” ticket in 1966. 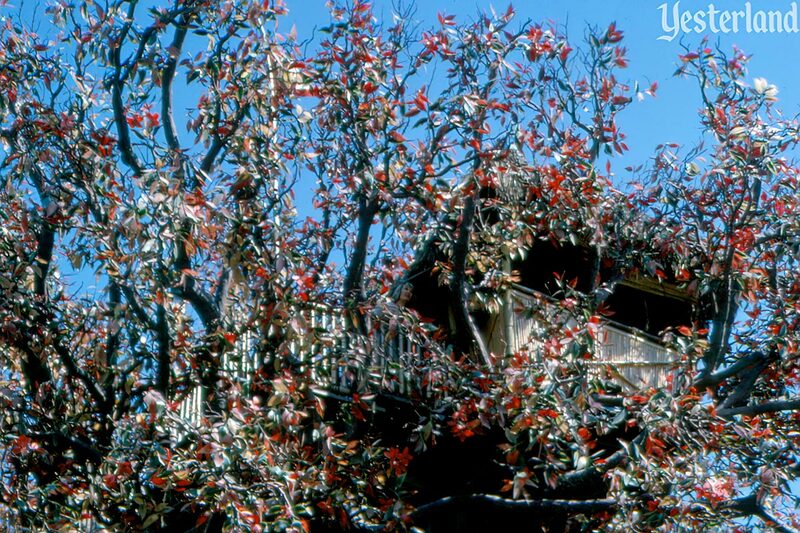 Guests enjoyed Disneyland’s Swiss Family Treehouse for more than 36 years. 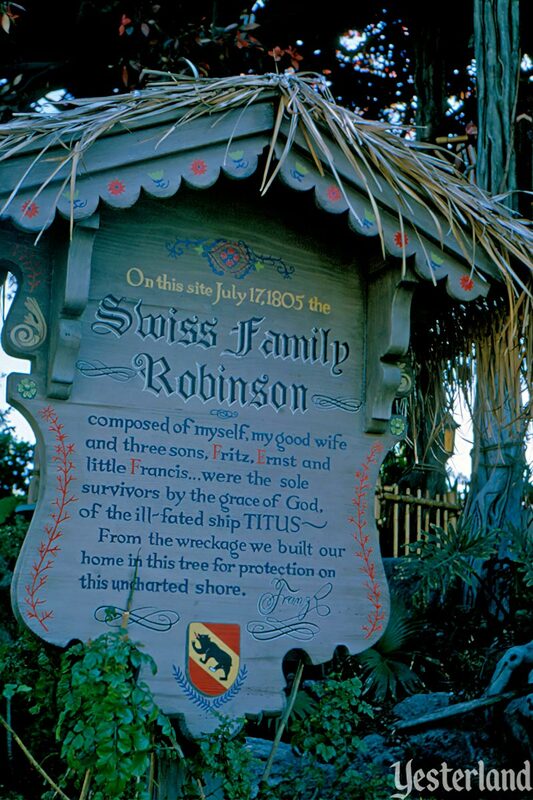 In early 1999, Disneyland evicted the Swiss Family from their Treehouse to make room for Tarzan. The giant artificial tree received a massive makeover, including thousands of replacement vinyl leaves and a new suspension bridge entrance from a new neighboring tree. 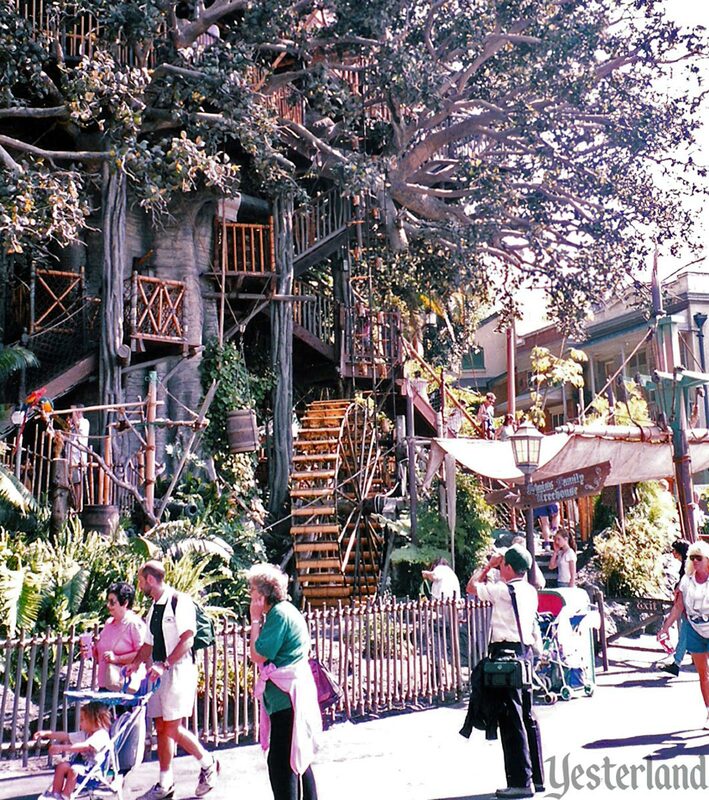 In June 1999, Tarzan’s Treehouse began welcoming park guests, just as Disney’s animated Tarzan premiered in movie theaters. 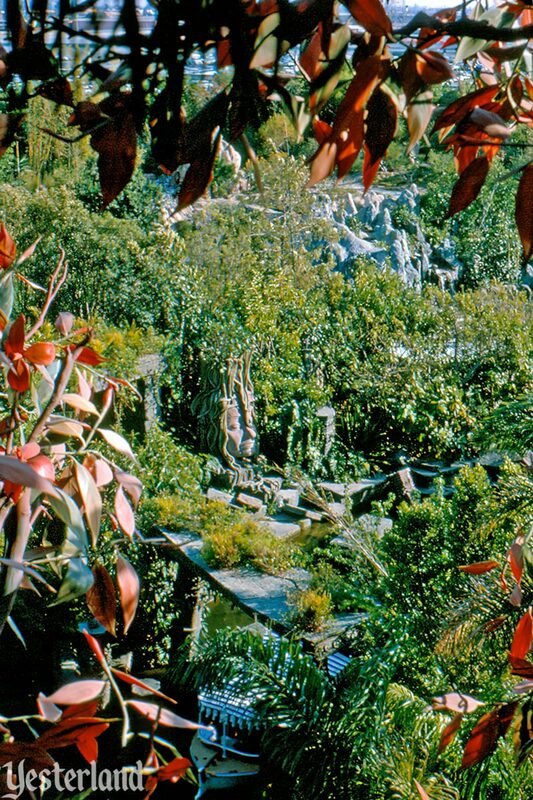 After crossing a rope bridge, visitors enter the homes of Tarzan’s human parents and his ape foster mother, Kala. 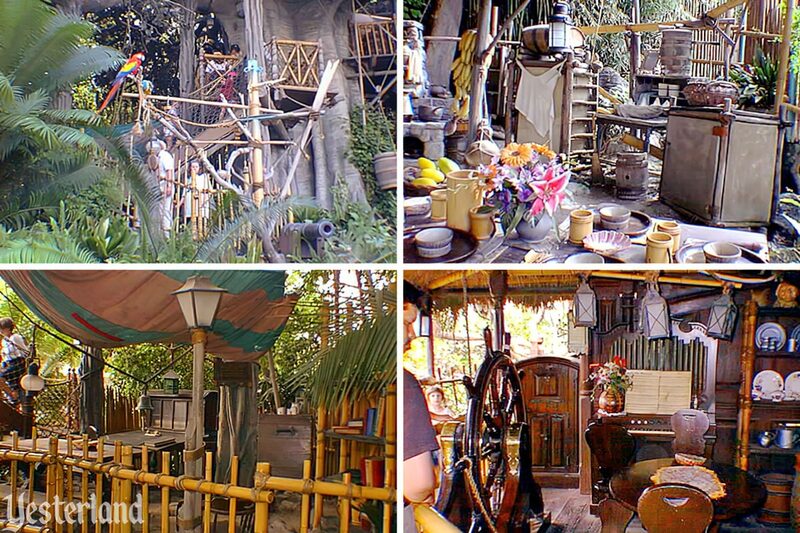 Live animals and costumed characters from “Tarzan” will visit the treehouse as well. Does anyone remember live animals? Guests were delighted by the new attraction’s hands-on interactivity. 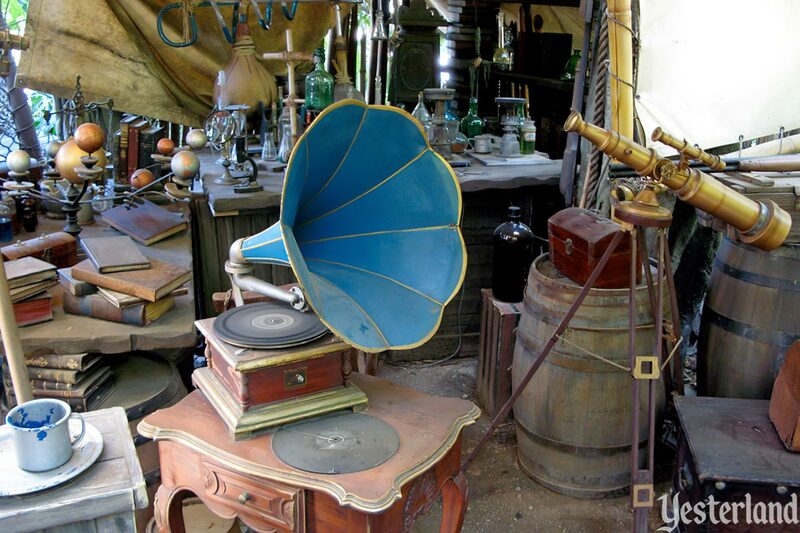 And what tune do the guests hear coming from the old gramophone? Why, it’s the “Swisskapolka”! Don’t feel bad for the evicted Swiss Family. They still have nice homes in Florida, Japan, and France. 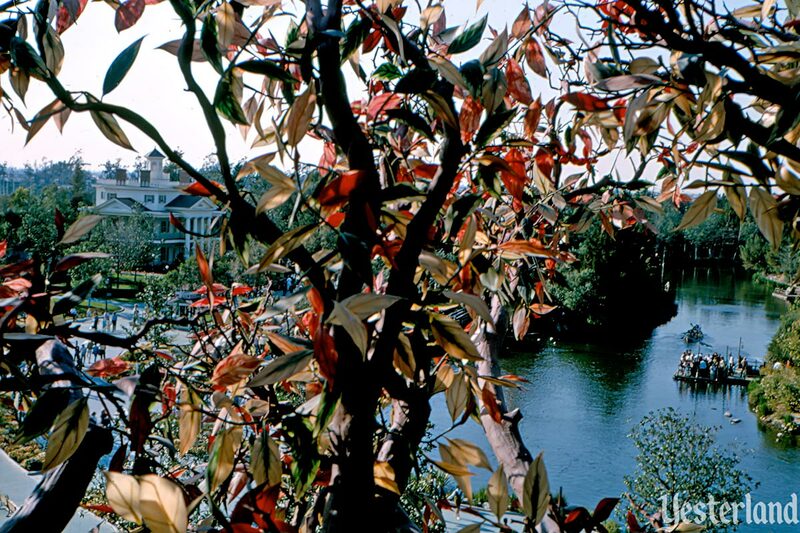 For example, you can visit the Swiss Family Treehouse at Walt Disney World’s Magic Kingdom, where it was one of the park’s original attractions on opening day, October 1, 1971.